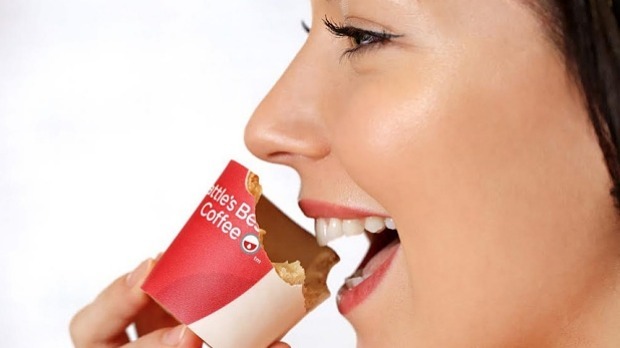 KFC has unveiled the UK’s first edible coffee cups – made from heat-resistant white chocolate. Aptly named the ‘Scoff-ee Cup’, the tasty treat has been made from a unique biscuit, wrapped in sugar paper and lined with an indulgent layer of chocolate, which keeps the coffee hot and the cup crispy. But, over time, the chocolate linings begins to melt so you really can have your ‘cup’ and eat it too. whats next? Edible Knife and Folk.